Today's digital world has given rise to fast, stinted communications. According to the Pew Research Center, texting is the most widely used smartphone app, with 97 percent of Americans using it at least once a day. Across the globe, 8.3 trillion text messages are sent each year. That translates to roughly 16 million messages per minute. In addition to text messaging, social media posts are generally concise and short on depth. The written form of communication has changed dramatically in the last decade, as letter-writing and other forms of prose have all but faded away. But come Valentine's Day, it can be special to dust off that pen and paper to express oneself via the written word in the name of love. Love letters are cherished keepsakes that can be kept for years. Such couples can illustrate a couple's present-day love for one another and shed insight on their relationship years later. Here are some steps for writing a romantic love letter or note. • Jot down ideas and inspiration. Make a list of attributes and qualities in a spouse or romantic interest that you would like to highlight. Write down phrases and terms that come to mind. These words can serve as the foundation for the letter. • Categorize your thoughts into three areas. Jot down things that you like and love about the person, things that the person may do for you or your family that you appreciate, and various memories from throughout the years. • Write what you know. Do not feel pressured to make this letter more complicated than it has to be. The words will come when you write from the heart. While you can use other letters to spur ideas, do not lose your voice or try to mimic someone else's work. • Make the letter personal and specific. Small details are important and make love letters more meaningful. Such details illustrate to a significant other that this letter was specifically written with them in mind. • Disregard length. The letter does not have to be a certain length. Whether it is a paragraph or several pages, the letter will be a successs if it says what you want to express. It doesn't have to be long if that's not your style. 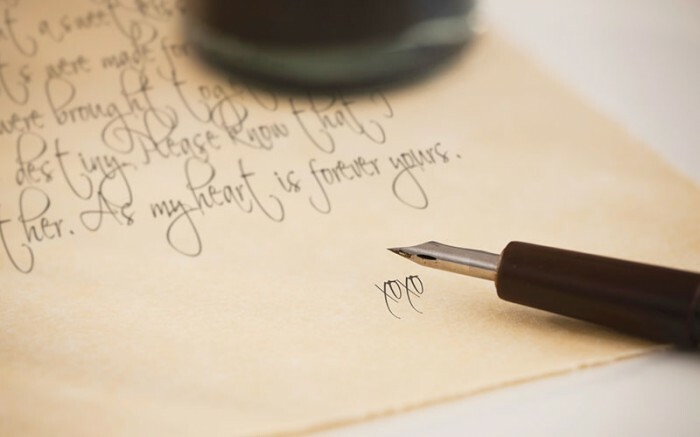 Writing a love letter can be a wonderful way to express romantic sentiments this Valentine's Day.